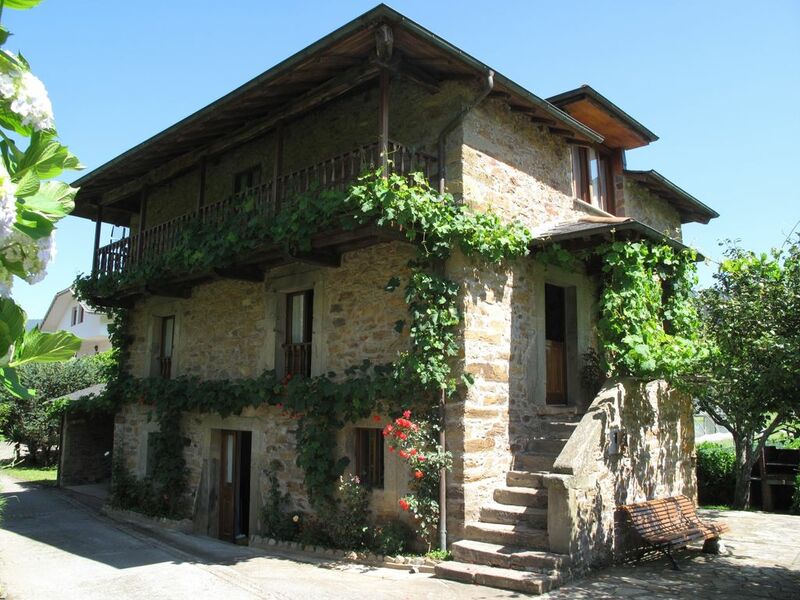 Casa Sergio is an excellent example of what tradicional architecture in Asturias is considered to be. It was built in the XVIII century and was upgraded in its recent history to become a warm and authentic rural accomodation. It is located in Brieves, a little village 12 km far from Cadavedo, in the western Asturias. The house has 3 floors; The ground floor, where you can find a space so you can play ping pong and do the laundry either. Here we have also a covered place outdoors to park two cars and also a barbecue besides the garden. The first or principal floor holds a completely functional kitchen, a dining-sitting room with a fireplace, one bedroom (with a 150cm bed) and a bathroom. Last but not least we can find on the second floor the rest of the bedrooms (one with 150cm bed and three with two single beds each one) and another bathroom. Casa Sergio is fully equipped with daily-use supplies, lining and towels. The emplacement of the accomodation ensures the enjoyment of quietness and slow life, and also let us appreciate an authentic ensemble of what traditional Asturian Arquitecture is suposed to be. In the inmediate enviroment you can also practise a bunch of outdoors activities. There are a pair of bars and one small grocery store in the village.